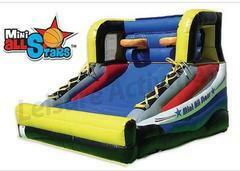 Interactive Game Rentals from Fun Times will take your next event to the next level of awesomeness! Our games are loved by all ages and most can be played indoor and outdoor as well. 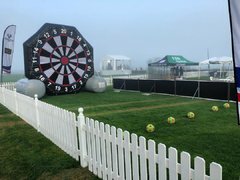 Our double sided giant soccer darts game will entertain and challenge all of your guests while they enjoy the party! 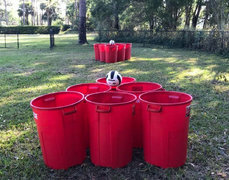 The newest game we have is our 3n1 sports and it is a true event pleasure, we recommend it for every large corporate event, school event and for any backyard party looking to take it to the next level! In this hot summer heat a DUNK TANK is sure to be a hit! 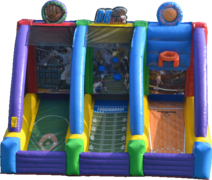 Perfect for corporate events for team building and our collapsible design makes it small enough to fit into your backyard as well, how convenient! Or our newest and most enjoyed interactive to date the DUAL LANE SLAM DUNK CHALLENGE! 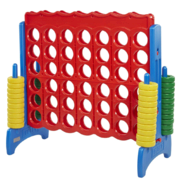 An Obstacle Course would be a brilliant addition to your interactive game rental! 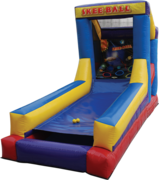 Let Fun Times bring one of our 70' obstacle course to your next event too! 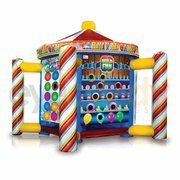 Fun Times Party Rentals is Central Florida's #1 choice for Interactive Game rentals in Clermont, Winter Garden, Ocoee and surrounding areas. PLEASE NOTE: ALL PRICES ARE FOR A 6 HOUR RENTAL. RENT UP TO 10 HOURS FOR ONLY 15% MORE.